Hon. Barr. 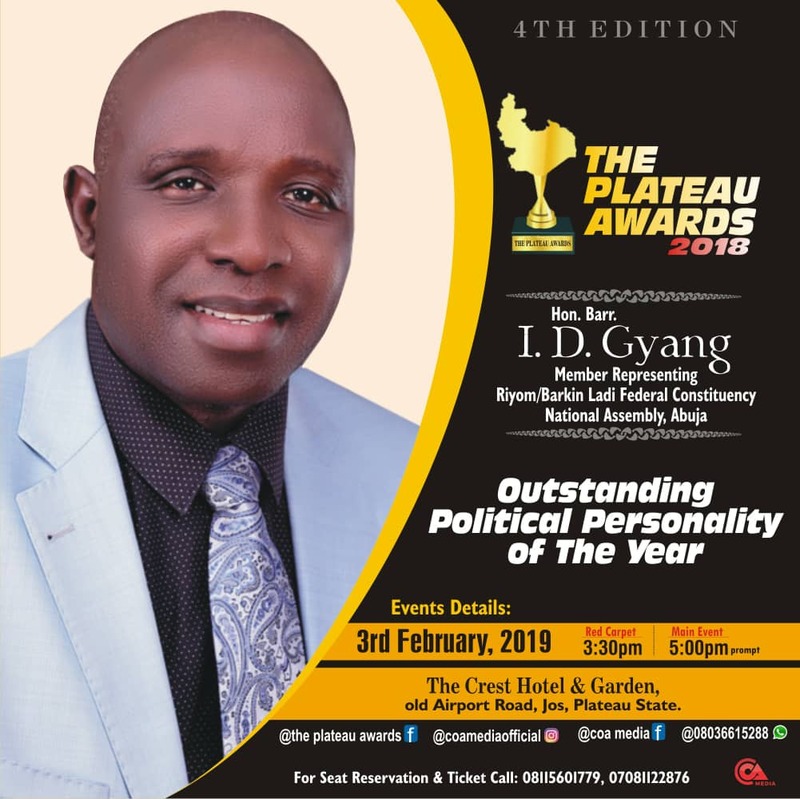 (Dr.) Istifanus Gyang, the member representing Barkin Ladi/Riyom Federal Constituency in the Nigerian National Assembly was recently named the Outstanding Political Personality of the year 2018 by the COA Media group, organizers of the annual Plateau awards. The decision follows weeks of online nominations and voting which were complimented by field surveys. Several other politicians were listed along with Mr. Gyang on that category but he emerged top. This might not be unconnected with his contributions to communal, state and national development as well as philanthropic efforts. Official sources say the Plateau Northern Senatorial candidate of the Peoples Democratic Party PDP has until this honor been slammed with over 30 honours and awards by different State, National and International bodies including Doctorate Degree (Honoris Causa) by the Commonwealth University Belize – in recognition of his outstanding contribution to public service. PLATEAU STATE IN THE NATIONAL ASSEMBLY. Rep. I. D. GYANG was born on 4th Feb., 1963 at Fan in Barkin Ladi Local Government Area of Plateau State and has risen from grass to grace and still rising. Rep. I. D. Gyang had shown earnest evidence of outstanding academic disposition early in life when he emerged as the best all-round student of Government Secondary School, Riyom in 1981. He went ahead to obtain two degrees; B.Sc International Studies and LL.B & BL. A competent, experienced civil administrator with a compulsive industry and prodigious appetite for excellence, Rep. 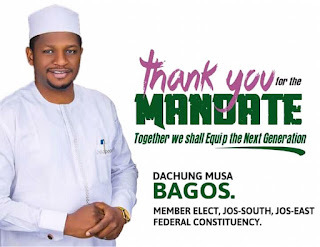 I. D. Gyang has served this country for twenty-four (24) years as a teacher, Administrative Officer and Permanent Secretary after which he retired into active politics and got elected into the National Assembly in 2015. Rep. I. D. Gyang’s immense contribution to community development stands him out as a human personage with a profound commitment to human and societal upliftment at the grassroots level. I). Doctorate Degree (Honoris Causa) Commonwealth University Belize – in recognition of outstanding contribution to public service. 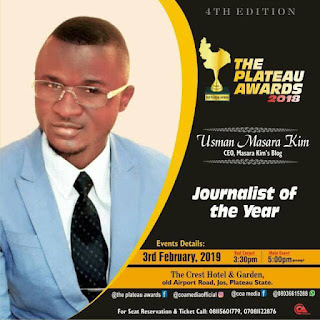 ii) Legislator of the Year 2016 by The Plateau Awards. iii). “Youth Peace Ambassador for Peace” by Universal Peace Federation and Youth Federation for World Peace. iv). “Distinguished Peace Ambassador” by Universal Peace Federation. Award of Fellowship, Federal College of Animal Health & Production Technology, NVRI, Vom – 2018.
v). Transparency, Accountability and Good Governance Integrity Heroes Award by Foundation for Transparency & Accountability (FTA). vi). Elected Professional Fellow Civilian Institute of Democratic Administration of Ghana (FCIDA). 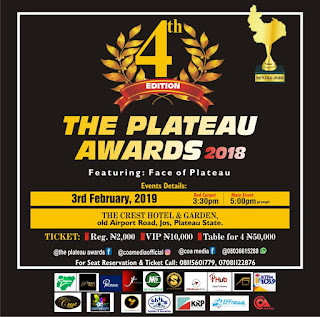 vii) Award of Excellence in promoting students welfare by ABU Zaria Students Representative Council, 2018.
viii). TIV Youth Peace Initiative award as “Warrior of Peace” for contributing towards peace in Plateau State, 2017.
ix). National Parent Teacher Association of Nigeria (NAPTAN), Award of Excellence and Symbol of true representative of the people, 2017.
x). Association of Medical Laboratory Scientist of Nigeria (AMLSN), Award of Excellence, 2016.
xi). Arewa Christians and Indigenous Pastors Association (ACIPA), Merit Award for Humanitarian, Welfare & Community Service, 2017.
xii). ECOWAS Youth Parliament Award of Excellence and Support for the Youth and students, 2017.
xiii). Arewa Journalist Forum National Assembly, Award of Excellence in recognition of contributions of Sustainable Democracy. xiv). Legislative Writers Forum Award of Most Outstanding House Member of the Year, 2016.
xv). Arewa Students Forum (ASF) Award as Epitome of Good Leadership, 2017.
xvi) Northern Youth Council of Nigeria Award, of title of Sardaunan Matasan Arewa a Najeria, 2017.
xvii). Outstanding Political Personality of the Year 2018 by The Plateau Awards. As a Legislator, Rep. I. D. Gyang has demonstrated capacity and excellence in Law making, vibrant representation and result oriented Constituency engagement. He is an active and vibrant Legislator whose voice is heard and respected on the floor of the Green Chamber. As a first timer in the Green Chamber, Rep. I. D. Gyang has proven his mettle as a prolific law maker and has over eighteen (18) Bills to his credit one of which has been ascented to into law by the President. In Constituency engagement, Rep Gyang has left no one in doubt by providing democracy dividends to his people in all key sectors resulting in people impacting programmes and projects including Construction of rural markets, empowerment and promotion of community based economic enterprises, boosting rural agriculture through farm inputs such as fertilizer, irrigation pumps and mini ponds, provision of health care facilities and medical centre, Medical Outreaches, administering free medical treatment, surgeries, etc. scholarships were awarded to 310 post Graduate and under Graduate students. In rural infrastructure, rural roads electrification projects, portable water supply through construction of boreholes to rural folks were undertaken to upgrade rural livelihood. Rep. I. D. Gyang is indeed an astute administrator, proficient technocrat, patriotic philanthropist, accomplished and industrious humanist and indeed an outstanding Legislator who is impacting his constituency and the nation with credible, versatile representation in the National Assembly. 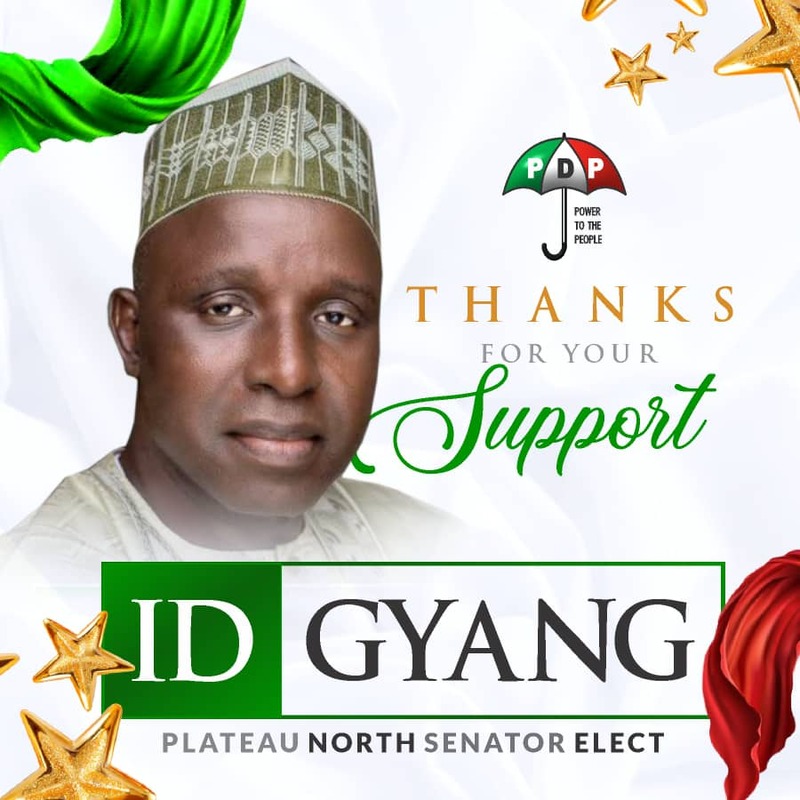 The people of Plateau North Senatorial District have taken note of his record performance hence have given him the Senate ticket to run on the platform of the PDP in the February 2019 polls.